Redken Lift 5/15 Power Tub Highlifting Booster 21.1 Oz. 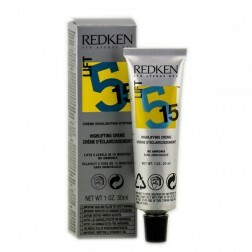 - Gentle, no-ammonia formula features natural emollients to condition, smooth and fortify. 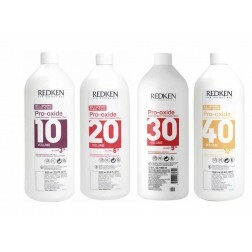 - Provides healthy, conditioned results for all hair types and textures. - Can lighten up to 5 levels in 15 minutes (with heat). 3-component system includes Lift 5/15 Highlifting Cream, Lift 5/15 Highlifting Booster and 40 volume Pro-oxide Cream Developer. - Mix product in a well-ventilated area. - Before first use, shake Highlifting Booster internal bag. - In a non-metallic bowl, combine the recommended amount of Highlifting Cream, Highlifting Booster, 40 volume Pro-oxide Cream Developer and mix well until a smooth consistency is achieved. 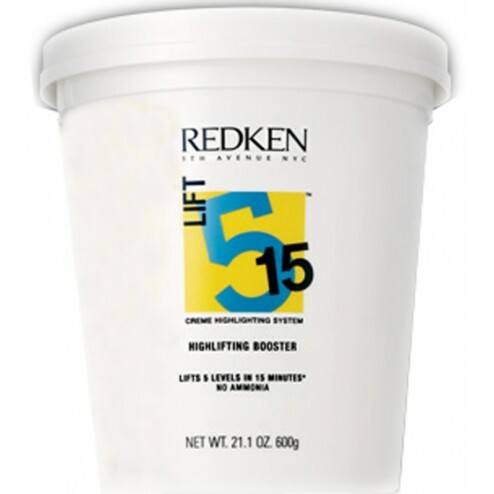 1 oz of Highlifting cream + 2 level scoops of Highlifting Booster + 1-2 oz of Pro-Oxide Cream Developer (40 vol only). 3/4 oz of Highlifting cream + 1 1/2 level scoops of Highlifting Booster + 3/4- 1 1/2 oz of Pro-Oxide Cream Developer (40 vol only). 1/2 oz of Highlifting cream + 1 level scoops of Highlifting Booster + 1/2-1 oz of Pro-Oxide Cream Developer (40 vol only). 1/4 oz of Highlifting cream + 1/2 level scoops of Highlifting Booster + 1/4-1/2 oz of Pro-Oxide Cream Developer (40 vol only). - For a maximum lightening action of 5 levels, pre-heart dryer and process for up to 15 minutes. - If processing without heat, recommended timing is 35 minutes. - Check development at regular intervals during processing. - When processing is complete, rinse, shampoo and condition the hair. Aqua / water, cetearyl alcohol, Ethanolamine, Oleyl 30, Oleyl Acid, Oleyl Alcohol, parfum, fragrance, pentasodium, pentetate.